Лоран Ришар получил степень Ph.D. в геохимии в 1993 году из Страсбургского университета, Франция. Впоследствии он был докторантом (1993-2002) в Калифорнийском университете (Беркли, США), где он представлял собой обширную термодинамическую базу данных по органическим соединениям с геохимическим интересом, которая использовалась для построения термодинамической модели генерации нефти из кероген в осадочных бассейнах. Он был назначен Матье де Конферанс (2002-2009) в Университете Анри Пуанкаре в Нанси (Франция), инициировал исследовательские проекты по взаимодействию между органическими соединениями, водными жидкостями и минералами в высокотемпературных геологических процессах, чему помогли в этой задаче когорты студентов и аспирантов. Он снова переехал на этот раз в Барселону (Испания), где он работал консультантом экологической компании (2009-2011 гг. ), А затем в качестве независимого консультанта по нефтяной промышленности (2012-2017 гг. ), Преследуя свою работу по термодинамике органических соединения при высоких температурах. В октябре 2017 года он присоединился к Школе горного дела и наук о Земле в Университете Назарбаева. Ménez, B., Pisapia, C., Andreani, M., Jamme, F., Vanbellingen, Q.P., Brunelle, A., Richard, L., Dumas, P., Réfrégiers, M. (2018) Abiotic synthesis of amino acids in the recesses of the oceanic lithosphere. Nature 564, 59-63. Gérard, E., De Goeyse, S., Hugoni, M., Agogué, H., Richard, L., Milesi, V., Guyot, F., Lecourt L., Borensztajn, S., Joseph, M.-B., Leclerc, T., Sarazin, G., Jezequel, D., Leboulanger, C., Ader, M. (2018) Key role of Alphaproteobacteria and Cyanobacteria in the formation of stromatolites of Lake Dziani Dzaha (Mayotte, Western Indian Ocean). Frontiers in Microbiology 9, paper 796. Brosse, É., Bachaud, P., Richard, L., Michel, A., Guichet, X., Rossi, T., Blancke, R., Gaucher, É.C., Parra, T. (2017) Quantification of carbon dioxide sourced by mineral reactions in ultradeep sedimentary basins. Marine and Petroleum Geology 81, 112-133. Milesi, V., Guyot, F., Brunet, F., Richard, L., Recham, N., Benedetti, M., Dairou, J., Prinzhofer, A. (2015) Formation of CO2, H2 and condensed carbon from siderite dissolution in the 200-300°C range and at 50 MPa. Geochimica et Cosmochimica Acta 154, 201-211. Richard, L., Uteyev, R., Peters, H. (2014) Thermodynamic description of organic/inorganic interactions in TSR reservoirs. SPE Annual Caspian Technical Conference and Exhibition, 12-14 november 2014, Astana, Kazakhstan. Publication SPE-172254-MS.
Al-Khirbash, S., Sehmi, K., Richard, L., Nasir, S., Al-Harthy, A. (2014) Rare earth element mobility during laterization of mafic rocks of the Oman ophiolite. Arabian Journal of Geosciences 7, 5443-5454. Grivé, M., García, D., Domènech, C., Richard, L., Rojo, I., Martínez, X., Rovira, M. (2013) A quantitative speciation model for the adsorption of organic pollutants on activated carbon. Water Science & Technology 68, 1370-1376. Richard, L., Gaona, X. (2011) Thermodynamic properties of organic iodine compounds. Geochimica et Cosmochimica Acta 75, 7304-7350. Helgeson, H.C., Richard, L., McKenzie, W.F., Norton, D., Schmitt, A. (2009) A chemical and thermodynamic model of oil generation in hydrocarbon source-rocks. Geochimica et Cosmochimica Acta 73, 594-695. Franiatte, M., Richard, L., Elie, M., Nguyen-Trung, C., LaRowe, D.E. (2008) Hydrothermal stability of adenine under controlled fugacities of N2, CO2, and H2. Origins of Life and Evolution of Biospheres 38, 139-148. Richard, L., Neuville, N., Sterpenich, J., Perfetti, E., Lacharpagne, J.-Cl. (2005) Thermodynamic analysis of organic/inorganic reactions involving sulfur: Implications for the sequestration of H2S in carbonate reservoirs. Oil & Gas Science and Technology 60, 265-275. Richard, L. (2001) Calculation of the standard molal thermodynamic properties as a function of temperature and pressure of some geochemically important organic sulfur compounds. Geochimica et Cosmochimica Acta 65, 3827-3877. Richard, L., Helgeson, H.C. (2001) Thermodynamic calculation of the distribution of organic sulfur compounds in crude oil as a function of temperature, pressure, and H2S fugacity. Proceedings of the 10th International Symposium on Water-Rock Interaction, pp. 333-335 (3 pages). WRI-10, 10-15 june 2001, Villasimius, Italy. Richard, L. (2000) Sur l´origine des ions chlorure dans les eaux salines des massifs granitiques. Comptes-Rendus de l´Académie des Sciences, Série IIa, Sciences de la Terre et des Planètes 331, 783-788. Richard, L., Helgeson, H.C. (1998) Calculation of the thermodynamic properties at elevated temperatures and pressures of saturated and aromatic high molecular weight solid and liquid hydrocarbons in kerogen, bitumen, petroleum, and other organic matter of biogeochemical interest. Geochimica et Cosmochimica Acta 62, 3591-3636. Helgeson, H.C., Owens, C.E., Knox, A.M., Richard, L. (1998) Calculation of the standard molal thermodynamic properties of crystalline, liquid, and gas organic molecules at high temperatures and pressures. Geochimica et Cosmochimica Acta 62, 985-1081. Richard, L., Helgeson, H.C. (1995) Calculation of the thermodynamic properties at elevated temperatures and pressures of high molecular weight organic compounds of geochemical interest. Proceedings of the 8th International Symposium on Water-Rock Interaction, pp. 263-267. WRI-8, 15-19 august 1995, Vladivostok, Russia. •	Устойчивость углеводородов при высоких температурах и давлениях. •	Органический углерод в метаморфических породах. •	Абиогенный синтез органических соединений в гидротермальных системах среднего океана. •	Геохимия серы в нефтяных системах. 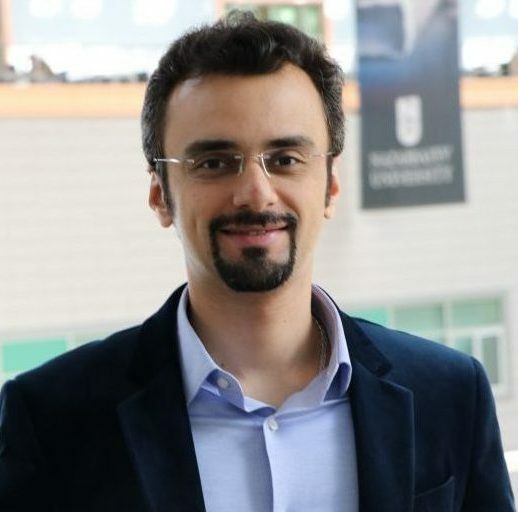 Peyman Pourafshary received his PhD from the University of Texas at Austin in Petroleum Engineering in 2007. 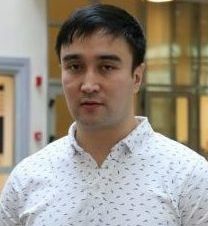 He has worked as an Associate Professor in Petroleum Engineering Department in School of Mining and Geosciences in Nazarbayev University since 2018. Prior to this position, Dr Pourafshary was an Assistant Professor in Tehran University in Iran for 6 years (2007-2013), and Sultan Qaboos University in Oman for 4 years (2013-2017). 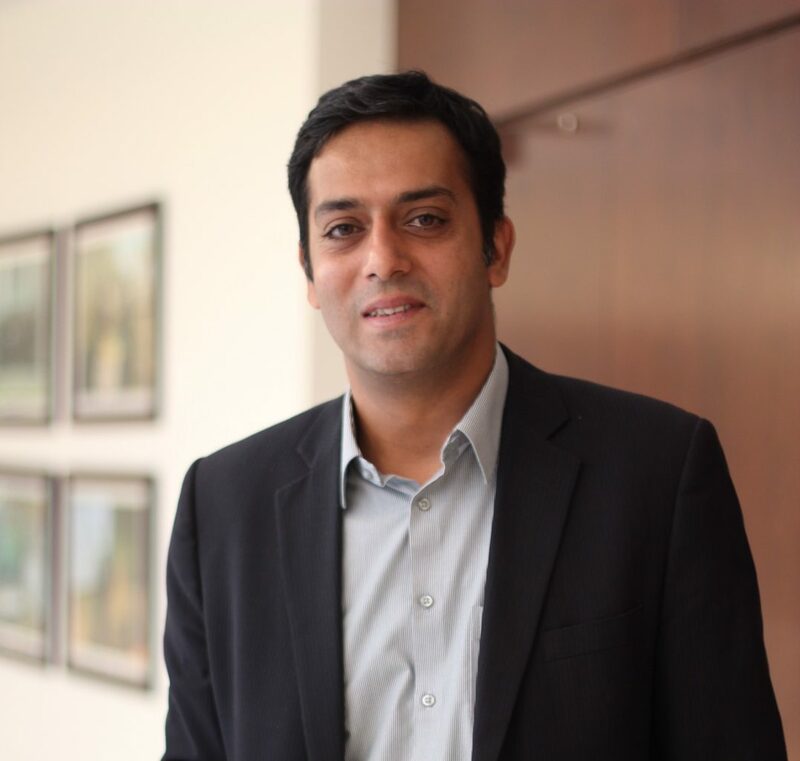 Dr Pourafshary has been involved as the project manager and consultant in different research and industrial projects in US, Iran, and Oman in the field of reservoir engineering and production engineering. Most of these projects were related to the development of new, cheap, and effective methods to reduce the recovery cost and improve the oil production. Several research groups were formed, consisting of graduate students and industrial collaborators, under the supervision of Dr Pourafshary to work on topics in different methods of EOR, production engineering modeling and optimization, formation damage control, and stimulation fields. The goal of his research is to improve the performance of conventional/unconventional EOR methods and to devise new and cheap approaches for better oil recovery. Several experimental and modeling research activities have been completed to study new ideas for different secondary and tertiary recovery methods such as low salinity water flooding, ion management in water flooding, chemical EOR by nanofluids, and gas flooding scenarios such as carbonated water injection. Also, new approaches were investigated to control and remove different possibilities of formation damage in oil reservoirs to improve wells productivity and injectivity. Mechanisms such as fines migration, clays swelling, and asphaltene precipitation are targeted to be controlled during conventional operations such as water flooding, gas injection, and natural depletion in reservoirs. Another direction of his research is in the field of fast reservoir simulation. In addition to conventional grid-based simulation methods, new fast simulation approaches were developed to model primary/secondary/tertiary recovery stages. These methods were applied in joint research projects with industries for field applications such as water flooding modeling and reservoir characterization. Dr Pourafshary have taught several undergraduate and graduate petroleum engineering courses in different universities worldwide. 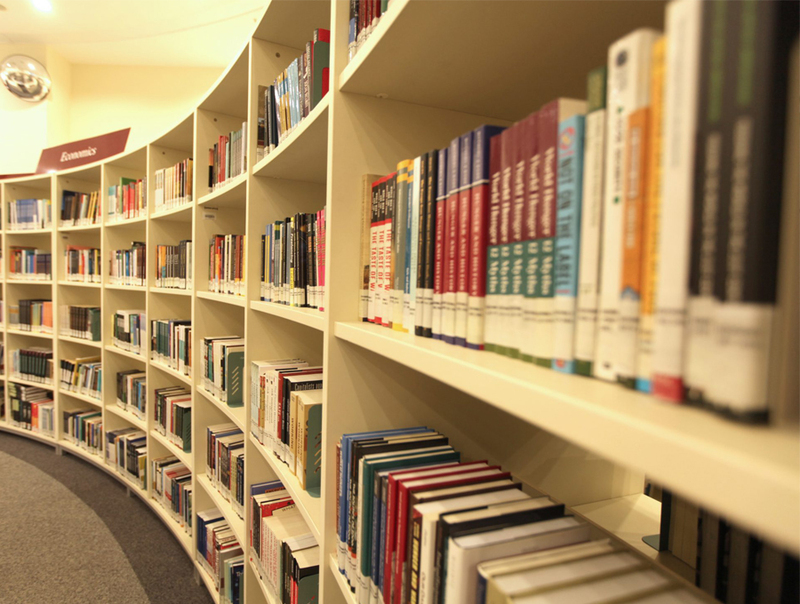 The following courses are presented by him at different levels. Al-Matroushi, M., Pourafshary, P., Al-Wahaibi, Y., & Mosavat, N., “Efficiency of nano-water/gas alternating injection technique to enhance oil recovery in an oil field”, International Journal of Oil, Gas and Coal Technology, 2018, 19(2), 149-162. Al Abri, H., Pourafshary, P., Mosavat, N., Al Hadrami, H,” A Study of the Performance of the LSWA CO2 EOR Technique on Improvement of Oil Recovery in Sandstones” Petroleum, 2018, Available online. Motamedi, P., Bargozin, H., Pourafshary, P., “Management of implementation of nanotechnology in upstream oil industry: An analytic hierarchy process analysis” Journal of Energy Resources Technology, 2018, 140(5), 052908. Khiabani, N., Bahramian, P., Chen, P., Pourafshary, P., Goddard, W.A.,” Calcium Chloride Adsorption at Liquid-Liquid Interfaces: A Molecular Dynamics Simulation Study,” Colloid and Surfaces A: Physicochemical and Engineering Aspects, 2017, 572, 70-80. Д-р Ягыз является инженером-геотехникой со степенью магистра в области геологической инженерии в Университете науки и техники Миссури (MST) и доктором философии в области горного дела в Колорадской школе горного дела (CSM). Он был исследователем Института механики Земли (EMI) CSM с 1998 по 2002 год в США. После этого он служил в Университете Памуккале в Турции до прихода в Университет Назарбаева. Д-р Ягыз преподавал курсы - инженерную геологию, прикладную геологию для инженеров, геотехнику, горную механику, механическую раскопку и туннелирование - как на уровне бакалавра, так и на высшем уровне. Он выступал в качестве модератора в Европейском Рок-механике-симпозиуме-Eurock'2010. Он является членом научного консультативного совета 2-го Международного симпозиума по нечетким системам (2011 г. ), 8-го Международного конгресса мрамора и камня (2012 г. ), Eurock'2013-Rock Mechanics for Resources, Energy and Environment, V Global Stone Congress (2014) и Всемирный конгресс по туннелированию (2017 год). Д-р Ягыз написал более 60 публикаций в научных журналах и журналах, прошедших независимую экспертизу, а также монографию «Модифицированная модель CSM для прогнозирования эффективности TBM в горной мессе». Он является членом редакционной коллегии Международного журнала транспортных технологий; Journal of Earth & Environmental Sciences, а также Турецкий журнал наук о Земле. В горнодобывающей и геотехнической технике он известен исследованиями разработки Модифицированной модели CSM, прогнозов прогнозирования производительности TBM, а также предложения индекса хрупкости хлыста и классификации. Д-р Ягыз участвовал в качестве главного исследователя или исследователя во многих исследовательских проектах по темам, связанным с механикой горных пород, туннелированием ТБМ и геотехникой. Он также является признанным рецензентом многочисленных горных, горных механиков, инженерной геологии и геотехнических журналов. Он является профессиональным членом Международной ассоциации инженерной геологии (IAEG) и Общества механики горных пород (ISRM). Adoko AC, Gokceoglu C, Yagiz S. Bayesian prediction of TBM penetration rate in rock mass, Engineering Geology, DOI: doi.org/10.1016/j.enggeo.2017.06.014 (2017). Ghasemi E, Kalhori H, Bagherpour R, Yagiz S. Model tree approach for determining uniaxial compressive strength and Young’s modulus of carbonate rocks, Bulletin of Engineering Geology and the Environment, DOI: 10.1007/s10064-016-0931-1 (2017). Armaghani DJ, Mohamad ET, Narayanasamy S, Narita N, Yagiz S. Development of hybrid intelligent models for predicting TBM penetration rate in hard rock condition, Tunneling and Underground Space Technology, 63, 29-43 (2017). Khandelwal M, Faradonbeh R, Monjezi M, Armaghani DJ, Majid MZBA, Yagiz S. Function development for appraising brittleness of intact rocks using genetic programming and non‑linear multiple regression models, Engineering with Computers, 33, 13-21 (2017). Yagiz S. New equations for predicting the field penetration index of tunnel boring machines in fractured rock mass, Arabian Journal of Geosciences, 10:2, 33, 1-13 (2017). Armaghani DJ, Amin MFM, Yagiz S, Faradonbeh R, Abdullah RA. Prediction of the uniaxial compressive strength of sandstone using various modelling techniques, International Journal of Rock Mechanics and Mining Sciences, 85, 174-186 (2016). Armaghani DJ, Mohamad ET, Hajihassanic M, Yagiz S, Motaghedie H. Application of several non-linear prediction tools for estimating uniaxial compressive strength of granitic rocks and comparison of their performances, Engineering with Computers, 32, 189-206 (2016). Yagiz S, Karahan H. Application of various optimization techniques and comparison of their performances for predicting TBM penetration rate in rock mass, International Journal of Rock Mechanics and Mining Sciences, 80, 308-315 (2015). Frough O, Torabi SR, Yagiz S. Application of RMR for estimating rock mass related TBM utilization and performance parameters, Rock Mechanics and Rock Engineering, 48, 1305-1312 (2015). Mahdevari S, Shahriar K, Yagiz S, Shirazi MA. A support vector regression model for predicting tunnel boring machine penetration rates, International Journal of Rock Mechanics and Mining Sciences, 72, 214-229 (2014). Ghasemi E, Yagiz S, Ataei M. Predicting penetration rate of hard rock tunnel boring machine using fuzzy logic, Bulletin of Engineering Geology and the Environment, 73, 23-35 (2014). Yagiz S. Comment on “Point load test on meta-sedimentary rocks and correlation to UCS and BTS”, [RMRE, 46(4); 889-896], Rock Mechanics and Rock Engineering, 46, 909-912 (2013). Sen S, Sezer EA, Gokceoglu C, Yagiz S. On sampling strategies for small and continuous data with the modeling of genetic programming and adaptive neuro-fuzzy inference system, Journal of Intelligent & Fuzzy Systems, 23, 297-303 (2012). Yagiz S. Comments on “Determination of strength parameters and quality assessment of Denizli travertines (SW Turkey)” [Eng Geol, 129–130 (2012) 38–47], Engineering Geology, 147–148, 149-150 (2012). Yagiz S, Sezer EA, Gokceoglu C. Artificial neural networks and nonlinear regression techniques to assess the influence of slake durability cycles on the prediction of uniaxial compressive strength and modulus of elasticity for carbonate rocks, International Journal of Numerical and Analytical Methods in Geomechanics, 36, 1636-1650 (2012). Д-р Сабанов Сергей Михайлович имеет 25-летний опыт работы в энергетической, нефтегазовой, металлургической и горнодобывающей промышленности. Он имеет более 10-летний опыт в преподавательской деятельности, в частности, в проектировании карьеров и шахт, планировании и составлении производственных графиков горных работ, буровзрывных работах, вентиляции шахт, водоотливе, рудничной геотехнике, производственной безопасности, оценке промышленных запасов и методике оценки горнотехнических рисков. Д-р Сабанов проводит практические семинары для посещения горных предприятий, фокусируясь на полном объеме проекта, лабораторных и полевых испытаниях, оценке и расчета различных параметров буровзрывных работ, шахтной вентиляции, безопасности шахты, механизированной отработке, спецификации горного оборудования и т.д. Д-р Сабанов выполнял комплексные проекты и обучение одновременно, отслеживая технический прогресс, и составляя отчетность для университета и горнодобывающей компании, а также для нормативно-технических комиссий. Проекты включали исследователей, студентов и аспирантов, горных инженеров и геологов. Работа охватывала проекты по проектированию шахт, эксплуатации и производственной деятельности предприятий, планирования производства и выбора способа отработки и ведения горных работ для карьеров и шахт, устойчивого развития горного производства, предотвращение загрязнения окружающей среды, а также развития природоохранных технологий добычи. Опыт работы д-ра Сабанова в горно-добычной отрасли позволил ему понять потребность местных горнодобывающих компаний в горных специалистах, и помог разработать соответствующие учебные программы для университета. Д-р Сабанов отвечал за реализацию теоретических знаний студентов в промышленной практике, оптимизацию учебных программ для практического применения в проектах горного производства. Д-р Сабанов помог студентам реализоваться в горнодобывающих компаниях, чтобы они получили практический опыт работы по проектам в рамках своих исследований. Последние 6 лет д-р Сабанов участвовал в ряде проектов способствуя решениям по оптимизации бизнес-процессов, внутреннему финансированию инвестиционных решений, аудиту ресурсов и запасов. Д-р Сабанов выполнял технический аудит, включая отчеты компетентного лица (CPR) для процедуры листинга на фондовых биржах, а также финансовый анализ, оценку рисков и др. Его опыт заключается в стратегическом планировании, организации, управлении и работе над техническими исследованиями (по международным стандартам и нормативам СНГ). Он также предоставлял консалтинговые услуги по финансированию проектов инвесторам, занимающихся освоением проектов в горнодобывающей, металлургической, энергетической и нефтегазовой промышленности. Д-р Сабанов сформировал основательную базу заказчиков и был представителем компании в ряде совмещенных проектов. Он участвовал в проектах в России, Казахстане, странах СНГ, Европе и Южной Америке. Д-р Сабанов имеет опыт работы с различными полезными ископаемыми, включая горючий сланец, уголь, золото и серебро, железную руду, алмазы, цинк, бокситы, калийные залежи и редкоземельные элементы. Также, он имеет большой опыт работы в области рациональной добычи горючего сланца в Эстонии и других странах мира, включая добычу обычным способом (буровзрывным способом, селективная, механизированная отработка) и нетрадиционную добычу (перегонку на месте залегания). Он является автором свыше 70 технических публикаций по горному делу, оценке рисков и управлению рисками опубликованных в реферируемых научных журналах и рецензируемых сборниках конференций. Sabanov, S. (2018). Comparison of unconfined compressive strengths and acoustic emissions of Estonian oil shale and brittle rocks. Oil Shale, vol. 35, issue 1. pp. pp. 26–38. Sabanov, S. (2018). Analysis of field test work results for the oil shale mine ventilation simulation Oil Shale, vol. 35, issue 4. pp. 356–364. 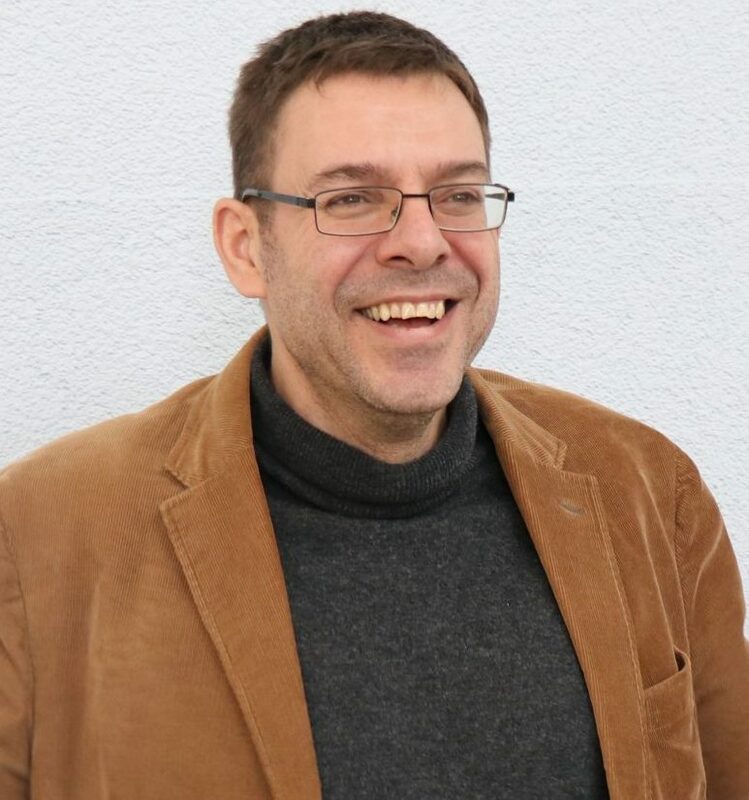 Sabanov, S. (2018). Financial Risk Analysis of Optimized Ventilation System in the Gold Mine. Springer Nature 2018, book chapter: Proceedings of the 27th International Symposium on Mine Planning and Equipment Selection - MPES 2018. Sabanov, S., Karzhau, A., Aldamzharov, B., Tussupbekov, Y., Mukhamedyarova, Z., Alnazar, N. Risk Analysis methodology in use of automated ventilation control for underground mines. Gorno-Metallurgicheskaya Promyshlennost 2018 (GMP Journal in Russian). Valgma, I.; Reinsalu, E.; Sabanov, S.; Karu, V. (2010). Quality control of Oil Shale production in Estonian mines. Oil Shale, 27(3), 239 - 249. Sabanov, S; Pastarus, J-R; Nikitin, O; Väli, E (2008). Risk Assessment of seismic impact on the roof and pillars stability in Estonian underground. Estonian Journal of Engineering, 14(4), 325 - 333. Pastarus, J.R.; Sabanov, S (2005). A method for securing working mining block stability in Estonian oil shale mines. Estonian Journal of Engineering, 11(1), pp. 59 – 68. 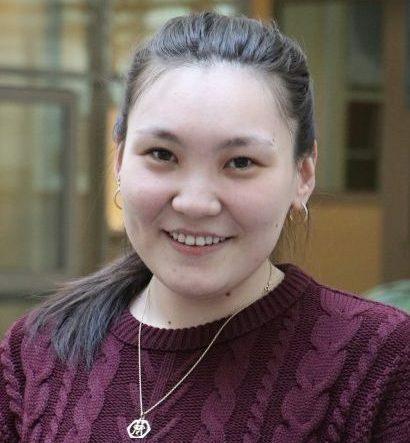 Dr. Adoko is an Assistant Professor at the School of Mining & Geosciences, Nazarbayev University. Previous to NU, he worked as a Lecturer in the Mining & Geological Engineering Department, Botswana International University of Science and Technology (BUIST) in Botswana. 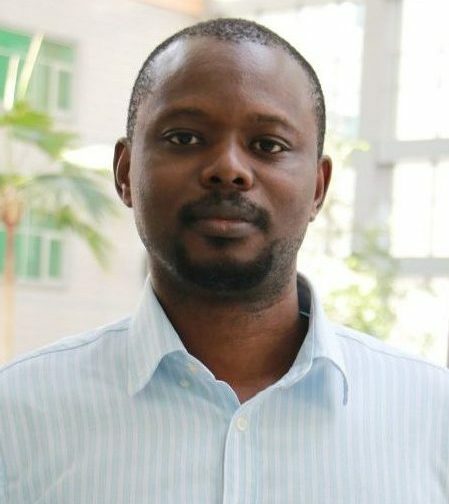 Before that, he was a Postdoctoral Research Fellow at the Institute of Rock and Soil Mechanics affiliated to the Chinese Academy of Sciences, where he worked on several R&D projects in coal mining, tunneling and other rock engineering projects. He holds a PhD in Geotechnical Engineering from China University of Geosciences (CUG), Wuhan in 2012. He specializes in rock mechanics for mining engineering and tunneling applications. Over the past few years, he has achieved remarkable milestones in his career in terms of teaching, research and services to university. He taught several courses related to rock and mining engineering systems including rock mechanics, mine backfill, underground mine development, mine power and drainage, mine machinery, etc. He has supervised five Master’s students and several BSc students in Mining and Geological Engineering programs. Dr Adoko is strongly committed to quality research. He has published in high impact journals indexed in the Science Citation Index of Thomson Reuters including the International Journal of Rock Mechanics & Mining Sciences, Tunnelling & Underground Space Technology and Engineering Geology. 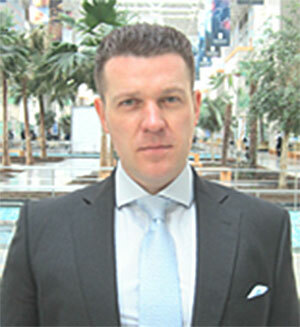 He has a proven experience in sourcing research funding from industry as well as committee servicing. Zhang, H., Adoko, A. C., Meng, Z., Wang, H. & Jiao, Y. Mechanism of the Mudstone Tunnel Failures Induced by Expansive Clay Minerals. Geotechnical and Geological Engineering. 2016: 1-13, doi: 10.1007/s10706-016-0102-y. 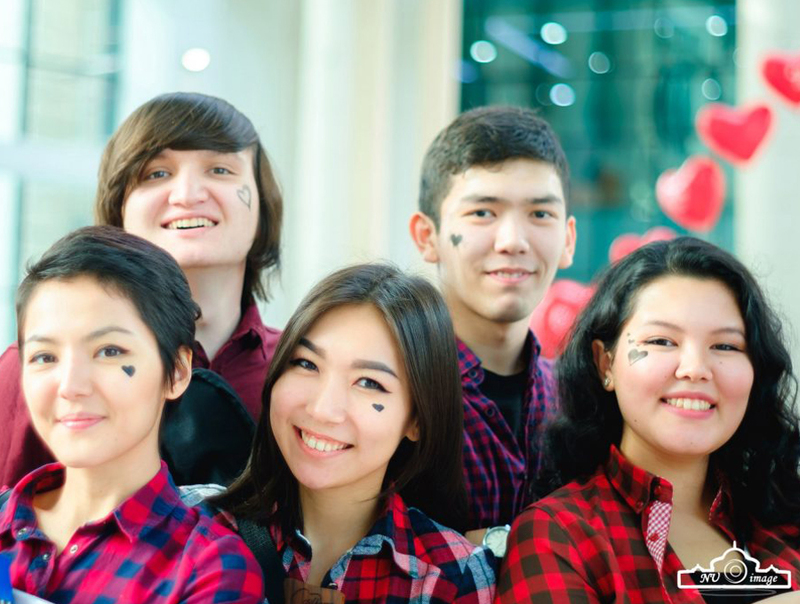 Adoko A C, Jiao Y-Y, Wu L, Wang H, Wang Z-H. Predicting tunnel convergence using Multivariate Adaptive Regression Spline and Artificial Neural Network. Tunnelling and Underground Space Technology. 2013;38:368-76. Jiao Y-Y, Zhang H-Q, Adoko A C, Tang H-M, Zhang X-L, Tian H-N. Simulating the process of reservoir-impoundment-induced landslide using the extended DDA method. Engineering Geology. 2014;182: 37-48. Adoko A C, Gokceoglu C, Wu L, Zuo Q- Knowledge-based and data-driven fuzzy modeling for rockburst prediction. International Journal of Rock Mechanics and Mining Sciences. 2013;61:86-95. Huang G-H, Jiao Y-Y, Zhang X-L, Adoko A C, Li S-C. Generating Irregular Models for 3D Spherical-Particle-Based Numerical Methods. Journal of Applied Mathematics. 2013;2013:7. Jiao Y-Y, Song L, Wang X-Z, Adoko A C. Improvement of the U-shaped steel sets for supporting the roadways in loose thick coal seam. International Journal of Rock Mechanics and Mining Sciences. 2013;60:19-25. Jiao Y-Y, Wang Z-H, Wang X-Z, Adoko A C, Yang Z-X. Stability assessment of an ancient landslide crossed by two coal mine tunnels. Engineering Geology. 2013;159:36-44. Adoko A C, Wu L. Estimation of the convergence of high speed railway tunnel in weak rock using an Adaptive Neuro-Fuzzy Inference Systems (ANFIS) approach. Journal of rock mechanics and geotechnical engineering. 2012;4:11-8. Zuo Q, Wu L, Adoko A C, Lu Z. Analysis of surrounding rock mass deformation characteristics: Case study of BaoZhen Tunnel, Hubei China. Electronic Journal of Geotechnical Engineering. 2012;17 N:2002-13. Adoko A C, Zuo Q-J, Wu L. A Fuzzy Model for High-Speed Railway Tunnel Convergence Prediction in Weak Rock. Electronic Journal of Geotechnical Engineering. 2011;16:1275-95. Adoko A C, Wu L. Fuzzy Inference Systems-Based Approaches in Geotechnical Engineering: A Review. Electronic Journal of Geotechnical Engineering. 2011;16:543-1558. Adoko, A.C. and Y.-Y. Jiao. Predicting Tunnel Convergence in Weak Rocks: Multivariate Adaptive Regression Spline and Rough Set Theory Approaches. In The 8th Asian Rock Mechanics Symposium, ARMS8. Sapporo, Japan, October 14-16, 2014, Paper TUS6-1. 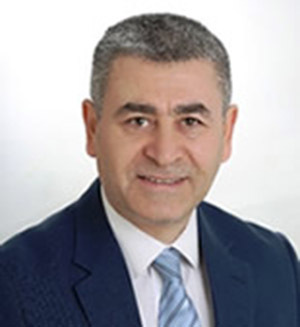 Dr. Ali Shafiei is currently an Assistant Professor of Petroleum Engineering in the School of Mining and Geosciences, Nazarbayev University. He obtained his PhD (March 2013) in “Thermal Heavy Oil Recovery and Petroleum Reservoir Geomechanics” from the University of Waterloo in Canada. He also holds a BSc in Applied Earth Sciences from the Bu-Ali Sina University in Iran. 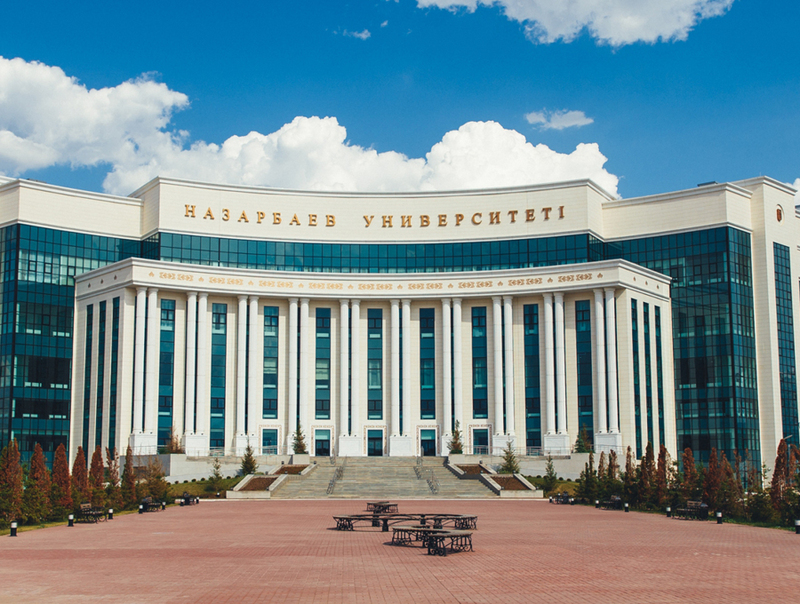 Dr. Shafiei has worked in different countries and various positions prior to joining the Nazarbayev University in September 2017. Dr. Shafiei is a specialist in reservoir characterization and formation evaluation, heavy oil recovery from complex reservoir systems, Enhanced Oil Recovery, and petroleum geomechanics aspects of energy exploitation from conventional and unconventional energy resources (ground subsidence, hydraulic fracturing, fracture characterization, geological geomechanical assessment of oilfields, and industrial and municipal waste disposal through deep injection into sedimentary basins). 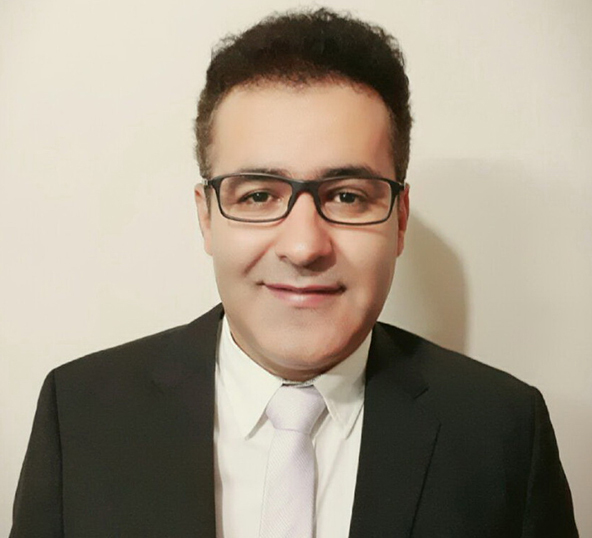 Dr. Shafiei has over a decade of Canadian and international research, graduate supervision, teaching, training, and consulting/industry experience in the petroleum Exploration & Production (E&P) industry. He was a scientific adviser to the Alberta Department of Energy (Alberta, Canada) in 2014 served as a member of the Innovative Energy Technology Program (IETP 2014) to review progress reports on various full scale field trials that the Alberta DoE was involved with various oil and gas companies in Canada on heavy oil recovery and geological CO2 sequestration. He has also delivered keynote speeches in conferences, the most recent one being a keynote talk on “Thermal Enhanced Oil Recovery from Carbonate Reservoirs” in InterPore 2017. Dr. Shafiei is also a long time active member of the SPE, AAPG, and EAGE. 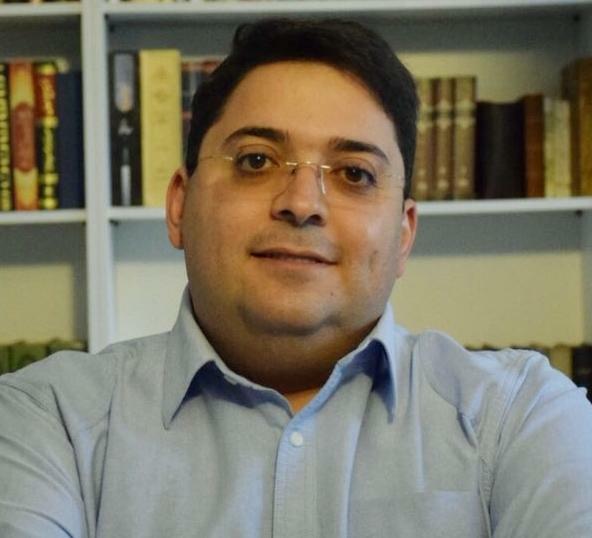 In 2018, Dr. Shafiei became an official short course instructor for the EAGE with his short course entitled: “Introduction to Heavy Oil: Genesis, Properties, Distribution, Recovery Technologies, and Upgrading”. Bastami, A., Pourafshary, P. and Shafiei, A. 2018. Densities for the Ternary System of CaCl2-H2O-CO2 at Elevated P-T: An Experimental and Modelling Approach with Well Stimulation Implications. Energies, 11(10), 1-19, https://doi.org/10.3390/en11102840. Sabbagh, F., Mirzaei-Paiaman, A., Ostadhassan, M., Shafiei, A., Rezaee, R., Saboorian-Jooybari, H. and Chen, Z. 2019. A Further Verification of FZI* and PSRTI: Newly Developed Petrophysical Rock Typing Indices. Journal of Petroleum Science and Engineering, 175,693–705, JPSE, https://doi.org/10.1016/j.petrol.2019.01.014. Al-Nofli, K., Pourafshary, P., Mosavat, N. and Shafiei, A. 2018. Effect of Initial Wettability on Performance of Smart Water Flooding in Carbonate Reservoirs—An Experimental Investigation with IOR Implications. Energies, 11(6), 1394; doi: 10.3390/en11061394. Shafiei, A., Dusseault, M.B., Taleghani, M.N. and Kosari, E. 2018. Fracture characterization and in situ stresses inference in a fractured reservoir – An integrated geophysical-geological approach. Energies, 11(2), 312; doi:10.3390/en11020312. Shafiei, A., Ahmadi, M.A., Dusseault, M.B., Elkamel, A., Zendehboudi, S. and Chatzis, J. 2018. Energies. Performance prediction of steamflooding fractured carbonate reservoirs. Energies, 11(2), 292; doi:10.3390/en11020292. Shariatinia, Z., Haghighi, M., Shafiei, A., Feiznia, S. and Zendehboudi, S. 2015. PVTX characteristics of oil inclusions from Asmari formation in Kuh-e-Mond heavy oil field in Iran, International Journal of Earth Sciences, 104(3), 603-623. Shafiei, A., Ahmadi, M.A., Zaheri, S.H., Baghban, A., Amirfakhrian, A. and Soleimani, R. 2014. Estimating hydrogen sulfide solubility in ionic liquids using a machine learning approach. Journal of Supercritical Fluids, 95, 525–534. Shafiei, A. and Dusseault, M.B. 2014. Geomechanics of thermal oil production from carbonate reservoirs, Journal of Porous Media,17(4), 301–321. Zendehboudi, S., Shafiei, A., Bahadori, A., James, L.A., Elkamel, A. and Lohi, A. 2013. Asphaltene precipitation and deposition in oil reservoirs – Technical aspects, experimental and hybrid neural network predictive tools, Chemical Engineering Research & Design, 92 (5), 857–875. Shafiei, A., Zendehboudi, S., Dusseault, M.B. and Chatzis, I. 2013. Mathematical model for steamflooding in naturally fractured reservoirs, Industrial & Engineering Chemistry Research, 52 (23), 7993–8008. Shafiei, A., Dusseault, M.B., Zendehboudi, S. and Chatzis, I. 2013. A new screening tool for evaluation of steamflooding performance in naturally fractured carbonate heavy oil reservoirs, Fuel, 108, 502–514. Shariatinia, Z., Feiznia, S., Shafiei, A., Haghighi, M., Mousavi-Dehghani, A., Memariani, M. and Farhadian, N., 2013. Multiple hydrocarbon charging events in Kuh-e-Mond oil field, Coastal Fars: Evidence from biomarkers in oil inclusions, Geofluids, 13(4), 594–609. Shafiei, A. and Dusseault, M.B. 2013. Geomechanics of thermal viscous oil production in sandstones, Journal of Petroleum Science and Engineering, 103, 121–139. Ahmadi, M.A., Zendehboudi, S., Shafiei, A. and James, L. 2012. A nonionic surfactant for enhanced oil recovery from carbonates: Adsorption kinetics and equilibrium. Industrial and Engineering Chemistry Research, 51(29), 9894–9905. Zendehboudi, S., Shafiei, A., Chatzis, I. and Dusseault, M.B. 2012. Numerical simulation and experimental investigation of gravity drainage in porous media. Journal of Porous Media, 15(3), 211‒232. Dusseault, M.B. and Shafiei, A. 2011. Oil Sands. Ullmann’s Encyclopedia of Chem. Eng., Wiley, 52 pages. Доктор Мадани получил ученую степень Доктора философии в области горного дела в Университете Чили в г. Сантьяго, Чили. В настоящее время он является Асситент Профессором Назарбаев Университета, где ведет обучение студентов и научно-исследовательскую деятельность в области геостатистики (линейная, нелинейная и многомерная), стохастического моделирования таких разнородных и однородных геологических зон, как минерализованные зоны рудных месторождений и фаций нефтяных пластов, интегрированных c геофизическими характеристиками, оценка запасов полезных ископаемых, разбавлений, оценка риска с целью классификации природных ресурсов и контроль качества отбора проб. Прежде чем приступить к работе в Назарбаев Университете, Доктор Мадани был Ассистентом Исследователя в Ведущем Центре Горных Технологий Университета Чили с 2013 по 2016 гг., где был вовлечен в моделирование и оценку рудных месторождений. Позже с 2016 – начало 2017 г. с целью количественной оценки неопределенности границ фаций, находящихся в контакте между гео-доменами, работал докторантом в отделе компьютерного моделирования в области наук о Земле Научно-исследовательского Института Нефтяной Индустрии в Иране. Д-р Мадани консультировал нефтедобывающие/горнодобывающие компании и научно-исследовательские проекты в области геостатистического моделирования, обеспечивая практическими подходами при интерпретации данных, полученных в результате отбора проб, экспериментов и промышленных тестов. Консультации представляли собой новые технологии для улучшенного моделирования месторождений/резервуаров, в особенности стохастическое моделирование геологических характеристик и полноценное понимание качества данных при проведении отбора проб. Также научные интересы Д-р Мадани сфокусированы на развитии и ускорении геостатистических алгоритмов посредством таких математических языков программирования, как MATLAB. Он опубликовал научные труды в рецензируемых журналах и на конференциях и получил Научно-исследовательский грант IAMG в области Математического моделирования наук о Земле в 2014 г.
Battalgazy, N., Madani, N. (2019). “Categorization of Mineral Resources Based on Different Geostatistical Simulation Algorithms: A Case Study from an Iron Ore Deposit”. Natural Resources Research, DOI: https://doi.org/10.1007/s11053-019-09474-9. In press. Abildin, Y., Madani, N., Topal, E. (2018). “Forecast the mineral processing destinations based on spatial interpolation of geometallurgical variables”. In the proceeding of the Complex Orebodies Conference 2018. The Australian Institute of Mining and Metallurgy (eds. ), Brisbane, Australia, p 2. Battalgazy, N., Madani, N. (2018). “Mineral Resource Assessment in Complex Deposits based on International Standards”. In the proceeding of the Complex Orebodies Conference 2018. The Australian Institute of Mining and Metallurgy (eds. ), Brisbane, Australia, p 79. Madani, N. (2018). “3D Estimation of Variables with Complexity in Cross-Correlation Structures”. In the proceeding of the Complex Orebodies Conference 2018. The Australian Institute of Mining and Metallurgy (eds. ), Brisbane, Australia, p 49. Madani, N., Emery, X. (2018). “Plurigaussian Simulation of Geological Domains in the Presence of Spatial Trends”. In the proceeding of the IAMG 2018, 19th Annual Conference of the International Association for Mathematical Geosciences. Hron, K. Babek, O. Fiserova, E. van den Boogaart, R. (eds. ), Olomouc, Czech Republic, p. 25. ”. In the proceeding of the Geometallurgy Conference 2018, Back to the Future. The Southern African Institute of Mining and Metallurgy (ed. ), Cape Town, South Africa, 13 p.
Madani, N., Yagiz, S., Adoko, A., Battalgazy, N. (2018). “Uncertainty quantification of rock quality designation at the Gazestan phosphate deposit”. In the proceeding of the Geometallurgy Conference 2018, Back to the Future. The Southern African Institute of Mining and Metallurgy (ed. ), Cape Town, South Africa, 14 p.
Dr. Muhammad Rehan Hashmet is a Petroleum Engineering faculty member in School of Mining and Geoscience, Nazarbayev University since 2018. Prior to current position, Dr Rehan has worked as a Research and Teaching Associate in Petroleum Institute Abu Dhabi for 4 years. Dr. Rehan received his Doctor of Philosophy degree in Petroleum Engineering from Universiti Teknologi PERTONAS Malaysia in 2014. Dr. Rehan also holds M.Sc. and B.Sc. in Petroleum Engineering from University of Engineering and Technology, Pakistan. Shehzad Ahmed, Khaled A. Elraies, Muhammad Rehan Hashmet, Mohamad Sahban Alnarabiji “Empirical Modeling of the Viscosity of Supercritical Carbon Dioxide Foam Fracturing Fluid under Different Downhole Conditions”, Energies, 11(3): 782, 2018. Ali M. AlSumaiti, Muhammad Rehan Hashmet, Waleed S. AlAmeri, Evans Anto-Darkwah, “CO2 Foam Flooding in High Temperature High Salinity Carbonate Reservoirs”, Energy and Fuels, 32(2), pp 1416-1422, 2018. Muhammad Rehan Hashmet, Ali M. AlSumaiti, Waleed S. AlAmeri, Yemna Qaiser, “Laboratory Investigation and Simulation Modeling of Polymer Flooding in High Temperature High Salinity Carbonate Reservoirs”, Energy and Fuels, 31(12), pp 13454-13465, 2017. Shehzad Ahmed, Khaled A. Elraies, Muhammad Rehan Hashmet, Alvinda Hanamertani “Viscosity Models for Polymer Free CO2 Foam Fracturing Fluid with the Effect of Surfactant Concentration, Salinity and Shear Rate”, Energies, 10(12): 1970, 2017. Shehzad Ahmed, Khaled A. Elraies, Isa M. Tan, Muhammad Rehan Hashmet, “Experimental Investigation of Associative Polymer Performance for CO2 Foam Enhanced Oil Recovery”. Journal of Petroleum Science and Engineering, 157: 971-979. 2017. Shehzad Ahmed, Khaled A. Elraies, Jalal Forooozesh, Siti R. B. M. Shafian, Muhammad Rehan Hashmet, Ivy C. C. Hsia, Abdullah Almansour, "Experimental Investigation of Immiscible Supercritical Carbon Dioxide Foam Rheology for Improved Oil Recovery," Journal of Earth Science, 28(5): pp. 835-841, 2017. Evans Anto-Darkwah, Muhammed Rehan Hashmet, and Ali M. Alsumaiti, “Laboratory Investigation of Static Bulk-Foam Tests in the Absence and Presence of Crude Oil”, International Journal of Chemical Engineering and Applications, Vol. 8, Issue 2, pages 112-116, 2017. Muhammad Rehan Hashmet, Mustafa Onur, Isa M. Tan, “Empirical Correlations for Viscosity of Polyacrylamide Solutions with the Effects of Salinity and Hardness”, Journal of Dispersion Science and Technology, Vol. 35, Issue 4, Pages 510 – 517, Year 2014. Muhammad Rehan Hashmet, Mustafa Onur, Isa M. Tan, “Empirical Correlations for Viscosity of Polyacrylamide Solutions with the Effects of Temperature and Shear Rate: II”, Journal of Dispersion Science and Technology, Vol. 35, Issue 12, Pages 1685 – 1690, Year 2014. Muhammad Sagir, Isa M. Tan, Muhammad Mushtaq, Lukman Ismail, Muhammad Nadeem, Muhammad Rizwan Azam, Muhammad Rehan Hashmet, “A Novel Surfactant for the Reduction of CO2/Brine Interfacial Tension”, Journal of Dispersion Science and Technology, Vol. 35, Issue 3, Pages 463 – 470, Year 2014. Muhammad Mushtaq, Isa M. Tan, Lukman Ismail, Muhammad Nadeem, Muhammad Sagir, Rizwan Azam, Muhammad Rehan Hashmet, “Influence of PZC (Point of Zero Charge) on the Static Absorbance of Anionic Surfactants on a Malaysian Sandstone”, Journal of Dispersion Science and Technology, Vol. 35, Issue 3, Pages 343 – 349, Year 2014. Muhammad Rehan Hashmet, Mustafa Onur, Isa M. Tan, “Empirical Correlations for Viscosity of Polyacrylamide Solutions with the Effects of Concentration, Molecular Weight and Degree of Hydrolysis of Polymer” Journal of Applied Sciences. During the tenure at Petroleum Institute, Dr. Rehan was involved in numerous research activities related to special core analysis and chemical enhanced oil recovery including Surfactant Polymer flooding and CO2 foam flooding for light oil, high temperature, high salinity carbonate reservoirs. Dr. Rehan has also worked as a team lead to establish state of the art EOR lab having coreflooding rig coupled with medical CT in ADNOC research and Innovation center (ADRIC), Petroleum Institute in collaboration with Statoil. In addition to this, he was also team lead to establish the SCAL lab with linear X-ray coreflooding system. All of his research focused on the designing and implementation of different IOR/EOR techniques for industrial application. The focus of his research comprises of Chemical Enhanced Oil Recovery, CO2 Foam Flooding, Reservoir Engineering, Nonlinear Parameter Optimization and image analysis for insitu saturation monitoring.